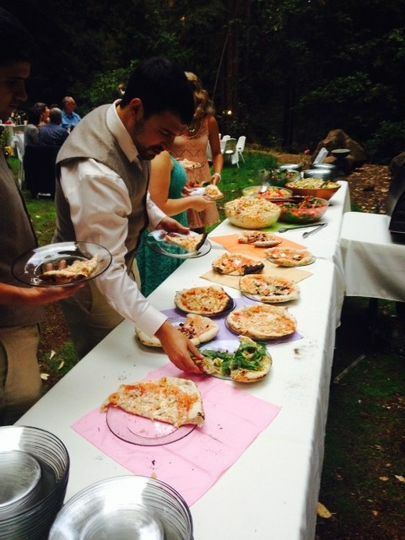 A green wedding catering company located in Santa Cruz, California, Culinary Creations Catering offers a dynamic and diverse selection of menus to suit a variety of tastes, themes, and budgets. 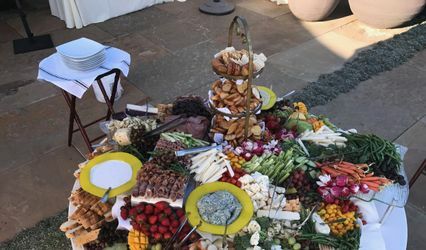 With delivery, setup, and cleanup services, Culinary Creations Catering provides your special event with an unforgettable culinary creation. 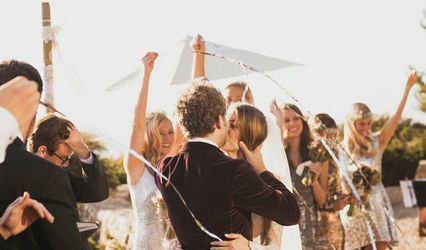 Couples can create a custom menu, whether they are seeking a casual or gourmet affair. 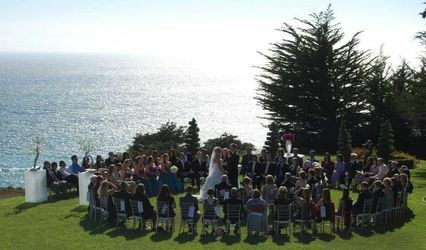 Couples can also rent event equipment like chairs and tables. They can even find all of the barware, glassware, china and flatware they may need, as well as a chocolate fountain, and linens. 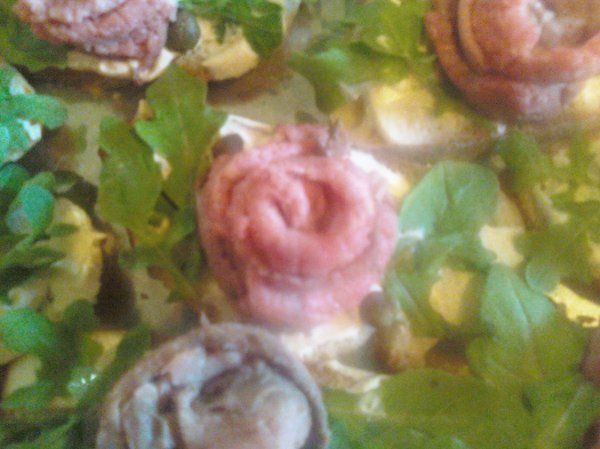 Roast beef sandwiches with arugula leaves. 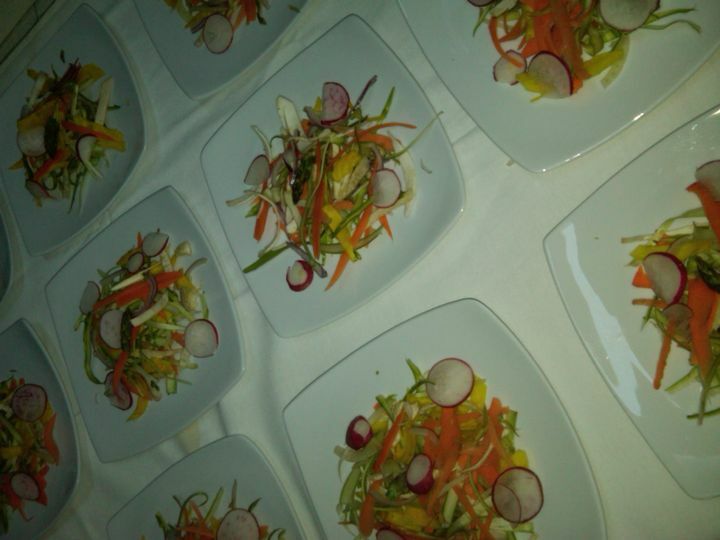 Salads in Martini glasses as a first course. Wedding at Quail Hollow Felton,Ca. Full service catering and event coordination. Janine was amazing! 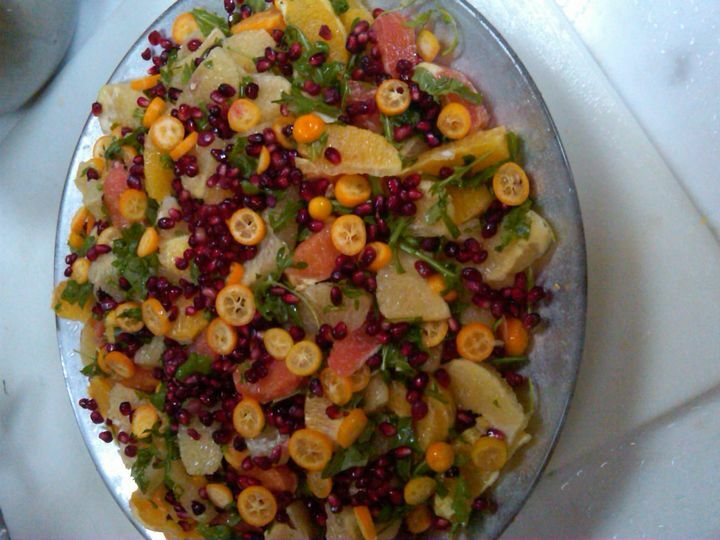 (Culinary Creations Catering) She has a great bubbly personality that immediately makes you feel at ease. 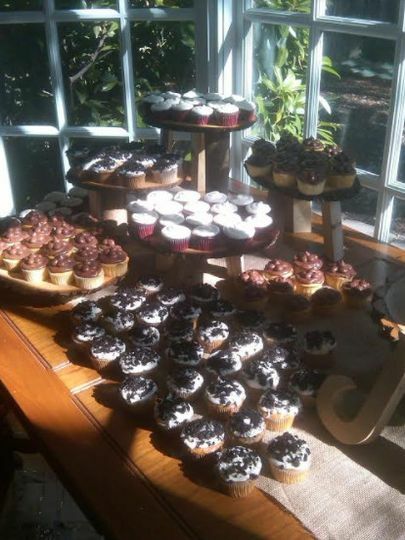 She did a free tasting at our venue (our home) and the food was delicious and had a very "from scratch" taste. Janine was able to work within our budget and provide exactly what we needed. She was flexible in making changes to the menu and the services to align with what I had envisioned. Gluten-free and Dairy -free options were great and the cheese platter was devoured. 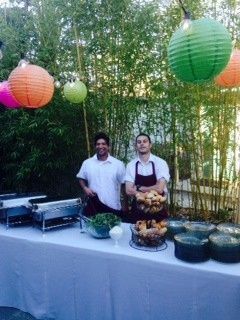 Janine was easy to work with and the only caterer in the area that could offer organic and green service as possible within our price range. From the very first inquiry to the BIG DAY--I felt nothing but comfort and ease. The food was delicious, but the service was top notch. I can't say enough good things about culinary creations. They did the catering for my wedding. 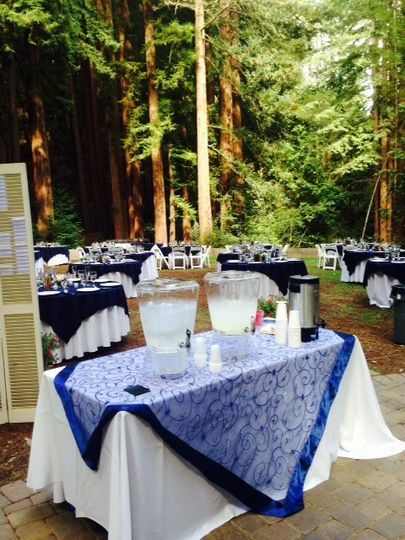 The wedding was 120 people in a national park in Saratoga. The food was wonderful. We got the steak, the paella several side dishes and salad. Everything was fresh. 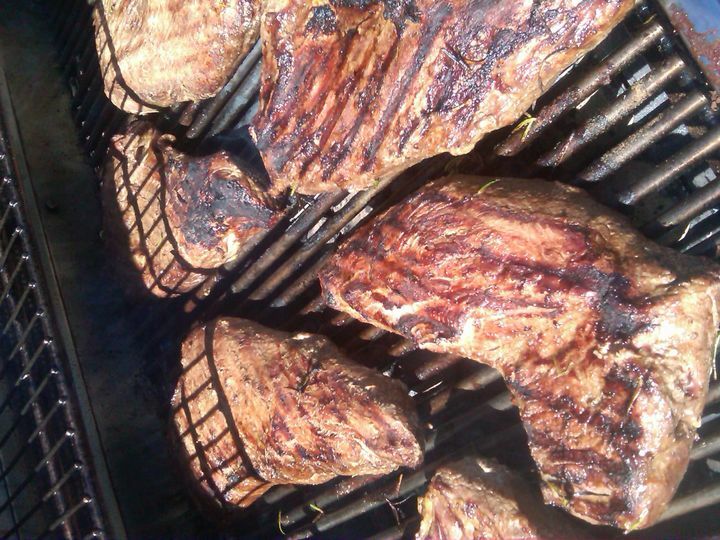 perfectly seasoned and cooked and delicious. Guests raved about it. Janine also did more than a normal catering company would do. She worked with us on set up, linens, coordinated with the bartenders. She indulged my bridezilla desire to do several walk throughs at the wedding site. She made the whole event run beautifully. She also worked within my budget and her prices are more than reasonable. 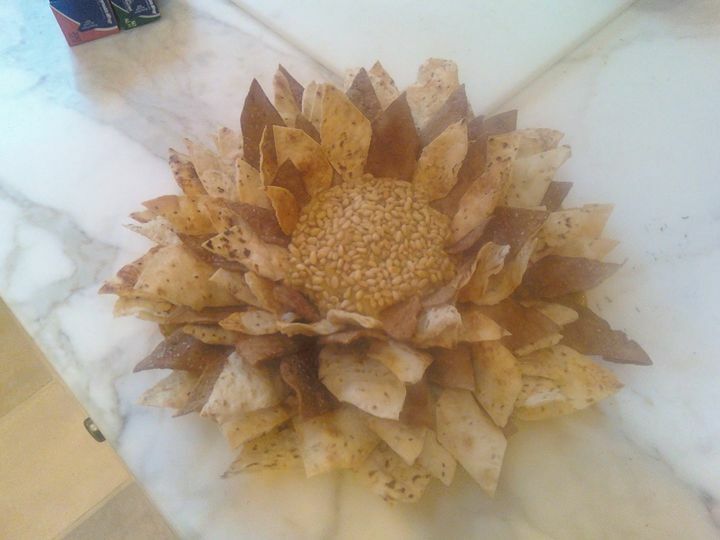 Also, culinary creations are very eco-friendly. They helped us make our wedding a green one!